So the highlight of today was meant to be a gentle social cycle with friends over near Winchester. That’s not quite the way things worked out. Having made my way over there with my bike in bits, and having reassembled it ready for the ride, I was raring to go. There are some beautiful back lanes around Alresford, obviously the reason that there are so many cyclists about. Rolling hills, farms, sheep, horses, even a pack of lamas, though not of the Buddhist persuasion. Beautiful countryside, and nice soft weather too. All was going well, we were about half way around the 12k route, nothing too strenuous as one of the friends is doing the Round The Isle of Wight charity cycle tomorrow, then a minor setback. 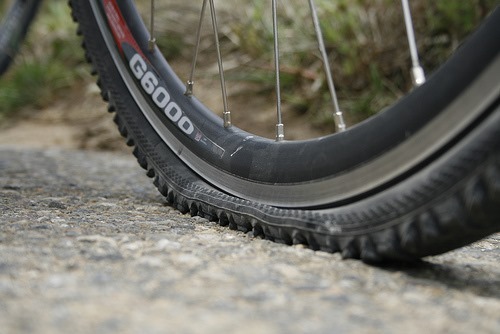 My bike was feeling a bit strange, rather less roll and a bit more rock, and looking down I found to my dismay, that my back tyre was as flat as a pancake. Now 6km is not far on a bike, even with the odd hill to make it interesting, but 6km on a bike with a flat back tyre is a challenge. Now I don’t know whether you have ever tried to cycle, standing up, leant over the front wheel, in order to take as much weight of the back tyre as possible, but it’s hard work. Try doing it for 10 metres, now try doing it for a kilometre, tough eh? Now try doing it for 6km, up and down some not insignificant hills, with a certain degree of amused banter aimed in your direction, that is a proper challenge. They say that what doesn’t kill us makes us stronger. I’m sure that is right, but just at this moment, sitting here, with two legs that feel like they’ve been under a road roller, it’s rather hard to agree with the sentiment. But I’ve got a new inner tube, all ready to fix the wheel, and I’m looking forward to a ride over to the pier and back tomorrow, just to shake the aches and pains out of these poor old legs.